An 'Aquaman' sequel is officially in the works. Jason Momoa's turn as the DC Comics superhero was a winner at the box office, becoming the 21st highest-grossing film of all time, and now Warner Bros. are bringing back David Leslie Johnson-McGoldrick – who wrote the first movie with Will Beall – to pen the script for another instalment of the sci-fi blockbuster. Variety reports that Director James Wan and Peter Safran are returning to produce the franchise. The confirmation of a second movie comes after it was reported that a spin-off is in the works. Following the success of Momoa's standalone movie, Warner Bros. are considering a new film based on the Trench, the deadly creatures who attacked his character Aquaman and his love Mera. Noah Gardner and Aidan Fitzgerald are believed to have been hired to work on a horror script about the creatures, while Wan and Safran will produce the project. The movie is not expected to feature the main 'Aquaman' cast – which featured the likes of Nicole Kidman, Amber Heard, Willem Dafoe and Patrick Wilson. Months before 'Aquaman' was released last year, Momoa admitted he already had plans for a sequel for the water-based superhero. He said: "I definitely have an opinion. Even when we were shooting 'Aquaman', I have the opening of 'Aquaman 2' ready. I went in and pitched it to Peter Safran, and I pitched it to [Warner Bros. chairman] Toby Emmerich. They loved it. It's awesome...But yeah, I have plans for 'Aquaman 2'." 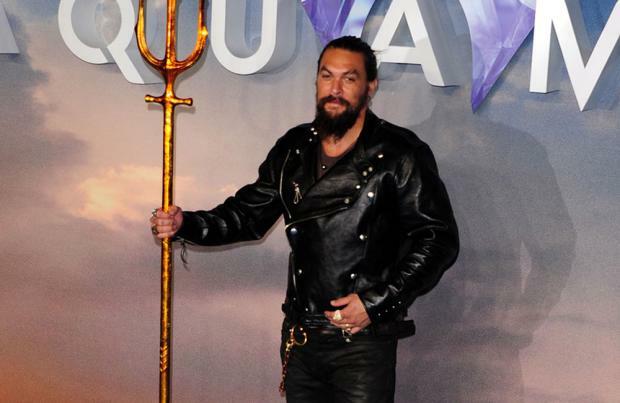 Meanwhile, the 'Game of Thrones' star previously revealed he was excited that the ending of 'Aquaman' showed the character "become what he's destined to be". He said: "He was born with the powers but he never really harnessed them, honed them. Obviously this is his whole origin story. We've seen him in Justice League, which is maybe two minutes of his old life, so we get to see where he came from. I think when he was a little boy, he had these powers and he didn't really hone them, so this whole journey of him going to become the king ... the last frame of this movie you're going to see him actually become what he's destined to be."